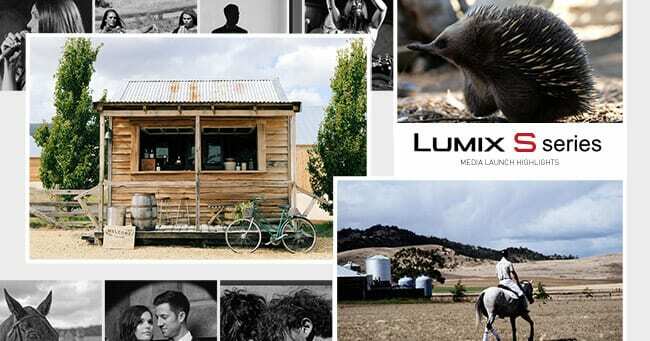 To celebrate the local launch of LUMIX S Series full-frame mirrorless cameras, we immersed 35 of Asia-Pacific’s best photographers and tech journalists in a distinctly Australian visual adventure. Why? Well, at Panasonic we’re all about real reviews. 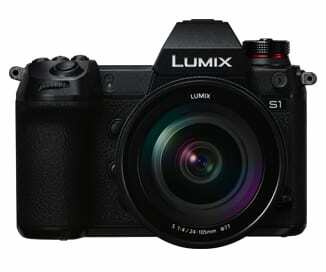 This camera system is designed to expand the scope of professional photographers with first-in-class features, so we made sure these industry experts got first-hand LUMIX S experience across a variety of shooting situations, environments and climates. We couldn’t have asked for a better setting than the Tasmanian capital city of Hobart, where our experts managed to squeeze in photo ops at a wildlife sanctuary, world-famous art gallery and a 200-year old Tasmanian icon in just a few days. Tassie even gave us high winds, rain, smoke, sunshine and a dramatic rainbow to test the LUMIX S Series ruggedness in the field! See below our ‘snapshot’ of the curated shooting opportunities. 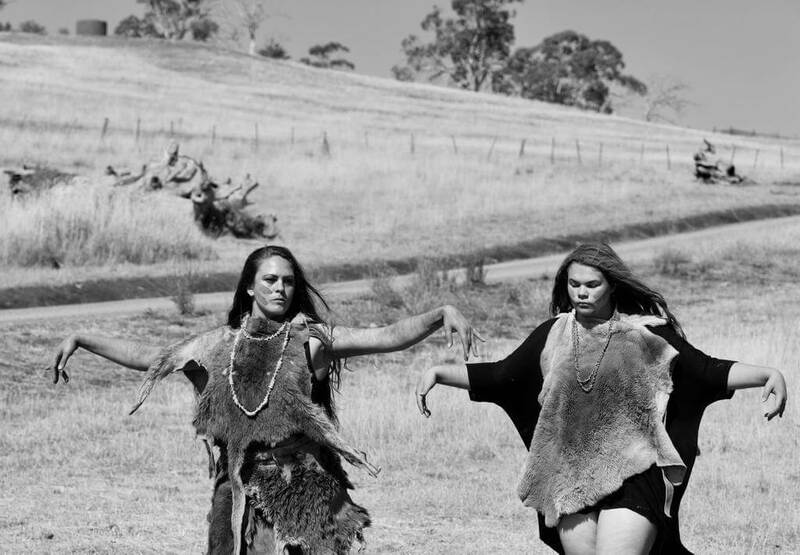 As guests arrived at the entrance of Bonorong Wildlife Sanctuary, they were greeted with a smoking ceremony to cleanse the space and a Welcome Dance conducted by traditional contemporary dance group, Pakana Kanaplila of the Luwtrawita Nation. This extraordinary ceremony set against the backdrop of Bonorong’s natural beauty gave journalists a perfect opportunity to capture the rich details and colour made possible by the LUMIX S high resolution sensor, along with the system’s continuous focusing features which make it easy to get a precise lock on people in motion. Next, we explored the sanctuary to get up close and personal with some Aussie favourites. 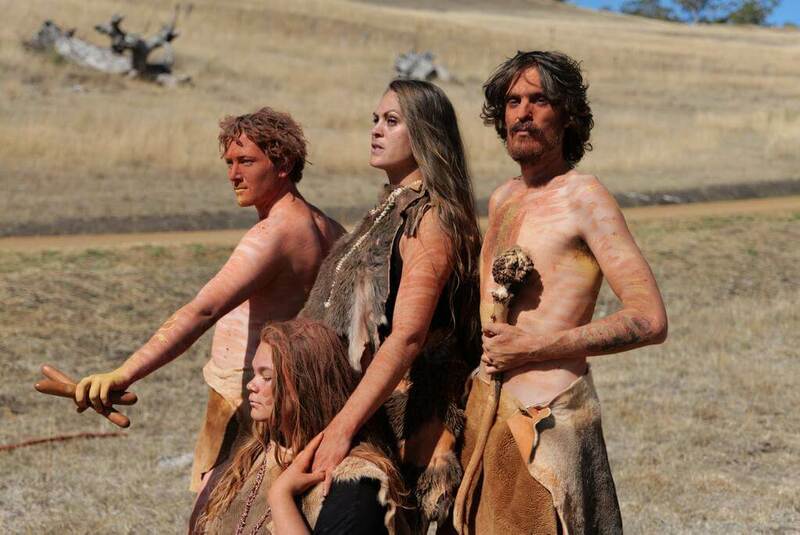 Kangaroos, echidnas, tawny frogmouths and the infamous Tasmanian devils all starred as photographic subjects. 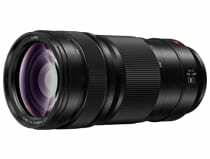 Reviewers enjoyed using the LUMIX S Series subject recognition and stabilisation settings to capture unique shots. 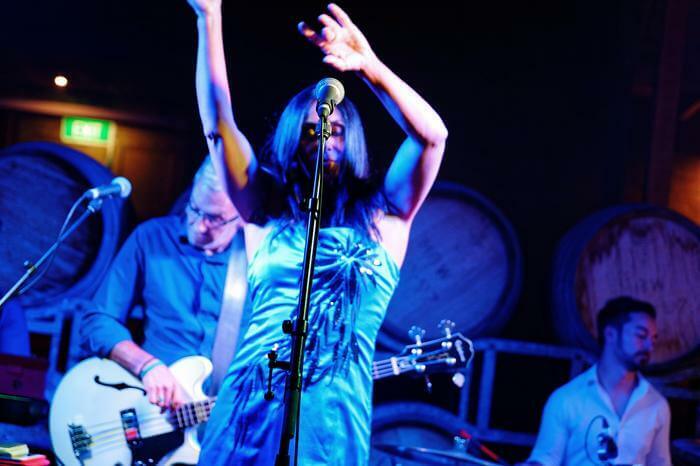 The evening saw Hobart-based band Black Coffee, performing moody jazz tunes in a concert setting, complete with atmospheric stage lighting. 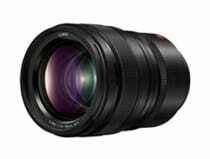 This provided the perfect creative opportunity to test LUMIX S cameras and lenses in a low-light scenario. Here the inbuilt stabilisation and AI-powered autofocus systems came in handy, delivering unprecedented accuracy in capturing people and instruments on stage. 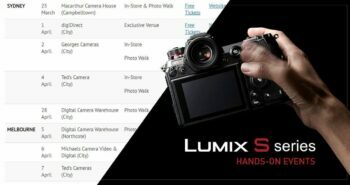 Panasonic’s low-light capabilities were also on show, with shooters applauding the sharpness and detail in the images (and one even calling the S1 a ‘low-light king’). PERFECTION!! at MONA – Museum of Old and New Art Models: Aaron French and Ashlee French Using the S series S1R and 50mm @ 1.4 Panasonic Australia Lumix Take me back to MONA!!! On our second day in Hobart, we managed to wow guests with a real rarity; exclusive access to shoot at MONA – a prestigious art museum with a worldwide reputation. Armed with their LUMIX S cameras and lenses, and guided by professional photographers – Ashley and Nikki Karakatsanis and Nicole Corbett – our guests were turned loose on a series of professionally styled studio set-ups. An outdoor mock-wedding photoshoot allowed our photographers to capture amazing images despite the heavy rain thanks to the system’s waterproof features! The next station recreated a party atmosphere for editorial-style shooting at the MONA bar, where our model served sass and sultry looks. The final scenario emulated a high-end fashion shoot, involving nothing more than an elaborate couch and a model wearing a stunning flowing gown. Our guests were able to walk away with stunning images, capturing intricate details in clothing, dynamic backgrounds and models in crisp focus – all thanks to Panasonic’s rich gradation, superior color reproduction and of course the Hybrid Log Gamma (HLG) Photo Mode. Tasmania’s heritage Shene Estate and Distillery oozed character, to the great delight of our guests. This mesmerising, historic property with a spooky convict past and links to Governor Lachlan Macquarie and the royal family was a photographer’s dream. The Kernke family guided guests through their unique home, sharing the history behind the gothic style stables, grain loft, barn and distillery. 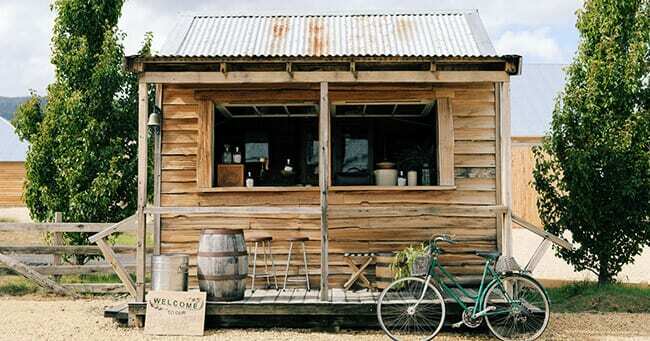 Camera shutters erupted in a flurry at Shene’s famous ‘Roadside Stall’, a rustic, standalone shopfront that screams #instaworthy and was even featured in the New York Times. 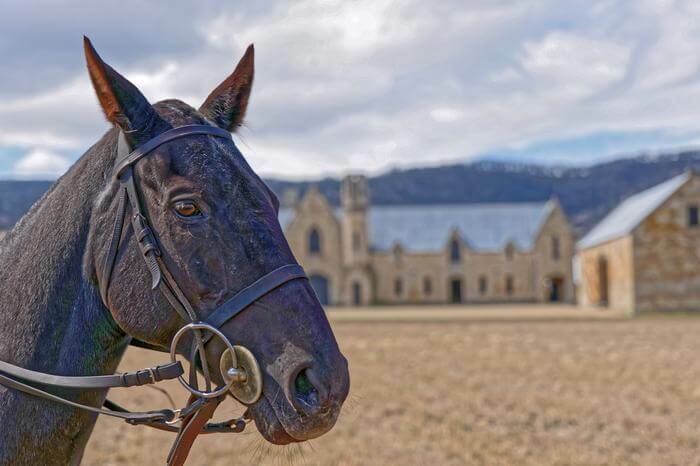 Now, it wouldn’t be a true Tassie experience without a bit of polo. Two professional polo players rode horses in different directions, angles and speeds to test LUMIX S ability to capture fast, dynamic movement. 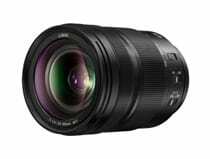 The high-speed, sharp AF system based on advanced control technology over the lens and sensor, enabled journalists to capture the riders and horses in detail, even when they weren’t facing the camera. 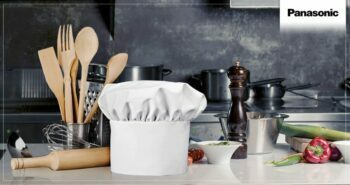 Next postThe Panasonic kitchen staff every cook needs!